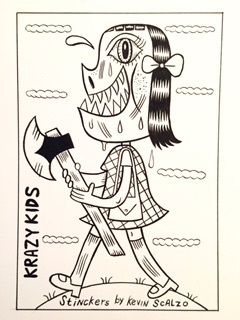 Original art for Stinckers stickers. Ink on Bristol. Art measures: 7"x 9". Signed.